After the 2013 release of the number one album, See You Tonight, very few people would have thought it would be five years until the 2011 American Idol winner Scotty McCreery released his next album, especially after releasing three albums in three years while still being a teenager. Since 2013, the Garner, North Carolina native has split with Mercury records, been to college, written a book (go big or go home), got engaged, became the first country artist to reach the charts without a record deal and he’s still only 24. After signing a new record deal last August before seeing five more minutes climb the charts to give him his highest charting single to date. 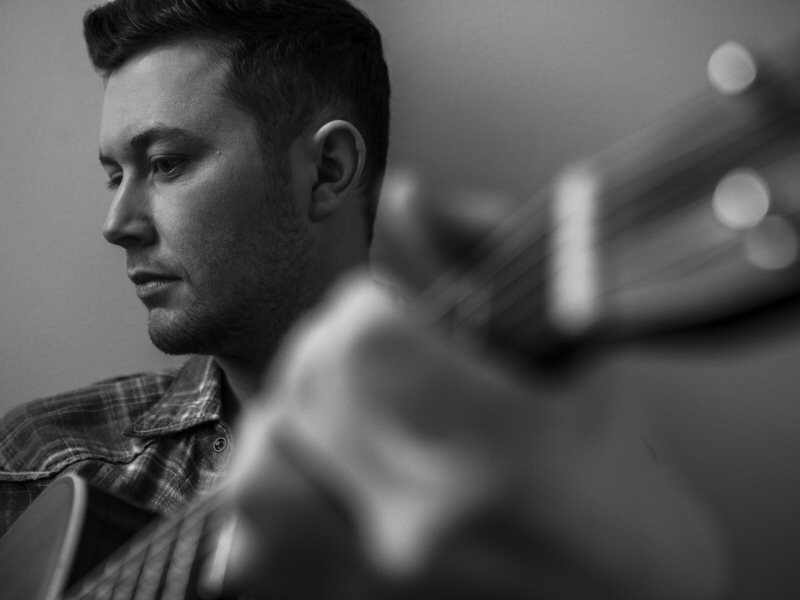 With his hotly anticipated return, Seasons Change is set to offer fans a reflection on life as he aims to get more personal with McCreery having also had a hand in writing all 11 tracks. The album opens with a woo and a banjo from the title track, Season Change, with the statement it’s a brand new me. As McCreery prepares to turn over a new leaf the track encourages the listener to get through the bad times as the good times aren’t far away. The upbeat tempo continues for the second track Wherever You Are. Sending the message that being just a phone call away from the one you love makes you feel that bit closer no matter how far apart you are. I’m sure the chorus will be happily sung along by many fans at shows over the coming months. There’s no stopping McCreery’s positive outlook, even if life has moved on you will always be one of the Boys From Back Home. The track about never forgetting where you come from with a boot stomping, hand clapping beat is sure to be a popular one in a live arena. Every second counts in the song he wrote following his grandfathers death, number one single Five More Minutes. McCreery reminisces all the times you want an extra few minutes to enjoy the moment, no matter what age you are. The number one single with lyrics that everyone can relate to as time rolls by returned McCreery to the spotlight could be a track that will stand the test of time in an ever changing genre. Following the somber tone the upbeat tracks return with In Between. The song about when you need to explain what kind of person you are. It’s as close to a bro country track you’ll get from McCreery who is somewhere in between the city boy and country boy; the Friday night party goer and enjoying chilled Sundays. McCreerys proposal song comes in the form of This Is It. The track slows things down on the album to share the moment when you feel like nothing can beat you and you have your future in your hands. Wrong Again is when you thought a kiss goodnight on a Friday night would be were it ended - yet you’re still hand in hand months later. Had enough of the 9-5 lifestyle? Move It On Out is the runaway song to get in the truck and get out of town. Yet more catchy country style lyrics and instrumentals. Barefootin’ continues the making the most of life moto by dancing whenever you can, even if you’re barefoot in your house. The penultimate track, Still, is another message to his high school sweetheart. Even though they have been together since their teens, McCreery wants to spend forever together. Being on the road can be a lonely time and you need to daydream a little of the things you miss in Home In My Mind. For McCreery that daydream is of supper being on the stove in his native Carolina. This track is a powerful and emotional finish to round off McCreery’s return to the studio. Seasons Change proves to be worth the wait for McCreery’s fans as he has certainly gone for the personal approach. He said prior to the albums release he has matured during his hiatus and this album proves it. With the success of Five More Minutes we are bound to be set to continue to hear his name for a long time to come, that communications degree from North Carolina may just come in hand.